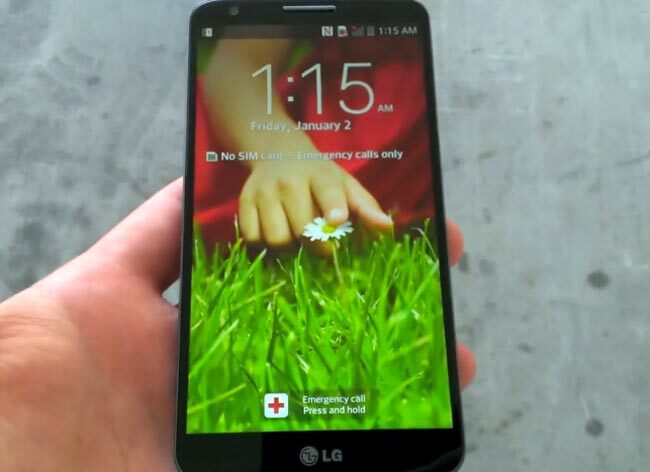 The news around the latest unveiled LG G2 has been in and off around for some time now. People were waiting with great anticipation about the grand day of the LG’s biggest flagship model till date to be revealed. Thus, finally in the presentation at New York finally the LG kicked off their latest flagship range officially, LG G2. Coming from the extended [arty of LG Optimus and G PRO, this is regarded as the ultimate flagship model from the LG revealed till date against its predecessors. On last Wednesday in a press conference held at New York, the LG giants formally introduced the launch of their yet another flagship model. 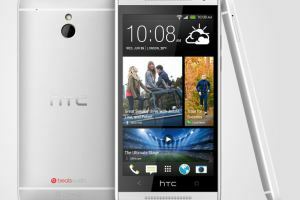 This smart phone is expected to slash off their previous highly profitable models, LG optimus and G Pro by a great margin. Some of the key highlights that this smart phone model of LG has in it are the 13 mega pixel camera which is quite a similar to its arch rivals, S4 from Samsung. Not only this, it has a android latest version of 4.2.2 and comes in with a display resolution of 1080 resolution pixels. A sort of a highlighting fact about the latest to be released LG ‘s flagship smart phone , LG G2 is that it is the first of its kind to toast the lightning speed frequency QUALCOMM’s snapdragon 800 processor in all its models and providers. It has not limited for a limited accessibility, so this is something that will be looked with keen eyes by the users. According to the minutes from the LG’s press conference on Wednesday, it is said that the LG G2 will be launched over 130 carriers across the globe. Some of the carriers of USA where it will be simultaneously launched include T mobile, Verizon and Sprint to name a few. The LG G2 can be rightly said as the most auspicious range of model that has geared up by the team. The LG G2 looks as a tough competitor against all the android supported device giants. But, it’s only the wait up to its release in the consumer market to find in whether it can really overshadow the other smart phone giants in the war. As big screen smart phones are the call of the hour and almost all smart phone giants making their presence felt by it, the LG is also not far behind. The LG G2 being a flagship model from the house of LG does exactly what is the most sorted after thing in screen and display department. The smart phone comes in with a pretty big screen with a great resolution display to add to its glamour. The smart phone comes in with a display of full HD in 5 inches screen. The LG G2 owns a lean and thin bezel material which makes the dimensions of the smart phone look organized. The resolution of the screen stands at 1080 pixels which are quite in parallel to that of the Xperia Z and the S4 of Samsung. The LG G2 is packages in powerful processor strength of quad core chip of 1.7 GHz. The first smart phone to release worldwide with a quickening speed of snapdragon 800 from Qualcomm. This is no way a limited in some providers or model. It will be available for a large entity and in all. The LG G2 will come in a package of option for chips, like if one is packed in 2 GHz, they will also find in the option of chip of 1.5 GHz. In the department of RAM there is no change, as it comes with 2GB. In the department of operating system, the smart phone will come in with the latest version of Android and has the full option of upgrading to the higher version when releases. In the storage arena which is a quite vital point while selecting the smart phone stands at a standard 32 GB internal storage refuelling. The battery performance stands at 2540 mAh. The LG G2 looks like a strong competitor to all the big giants. This Korean electronics giant is all set to make the fellow competitors a tough cal by their official launch. Now, it’s time to check in as to how big and grand it will actually step in with.